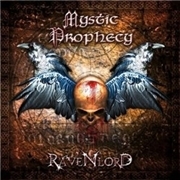 Seventh album from MYSTIC PROPHECY, the one no one ever thought would arrive. The band has changed a lot over the years, but also a great previous album called “Fireangel”. One album per annum has been skipped because of extensive touring with STRATOVARIUS, and upheaval, but the R.D. Liapakis fronted outfit is back. The rest of the band consists of guitarists Markus Pohl and the great Constantine, bass player Connie Andreszka and drummer Tyronne Silva. Will this album be the definitive metal album of 2011?